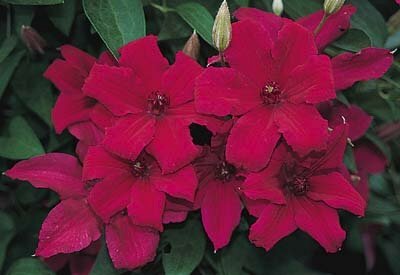 Lots of 4 inch crimson flowers over a long bloom season. That's what we call fifty-five mile-an-hour color! This clematis makes a black trellis really stand out.